Nike Woman Urban Musk is a mild and sweet fragrance. The active formula gives you continuous effective protection against perspiration odors during the whole day. Spray it on and you’ll feel every bit of a Greek Goddess! 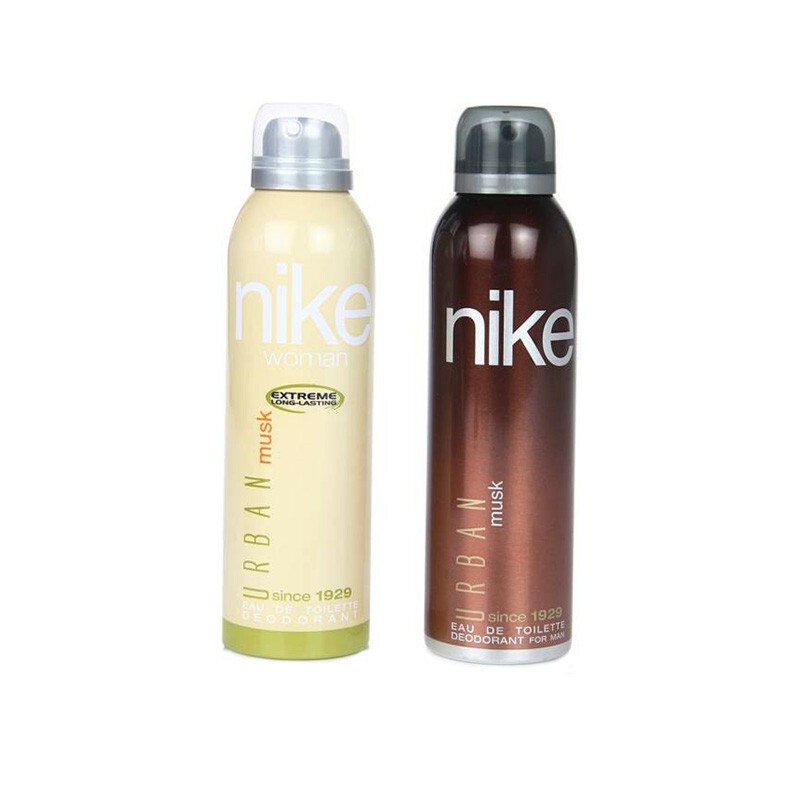 Nike Urban Musk is the ultimate musk deodorant for the uber cool urban man. The active formula gives you continuous effective protection against perspiration odors during the whole day.Spray it on and smell the scent of success!